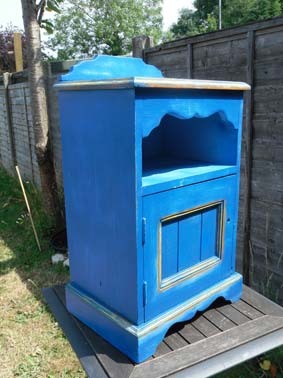 I found a pine bedside cabinet for my boyfriend. 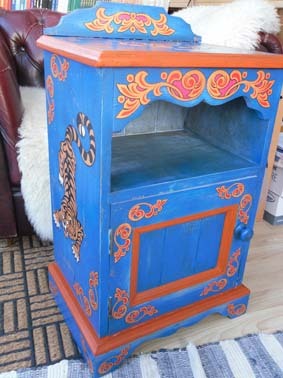 He expressed the desire of having it decorated with fun-fair art which is bright and colourful. 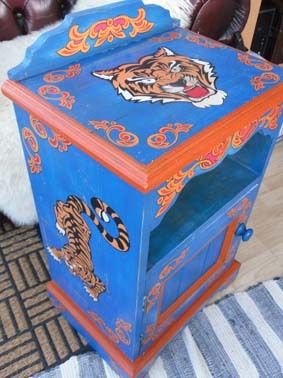 He will be designing a few of the patterns such as a tiger head for the top. 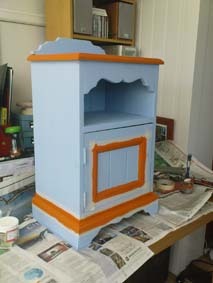 I have cleaned it and put the first coat of paint on it: a pale blue with some bright yellow and orange on the borders. While it is drying, we are putting together some patterns for the top and the sides, and deciding what colour scheme to make them. 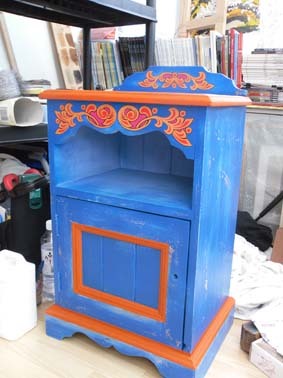 Cabinet spray painted over the background and distressed where the colours are. 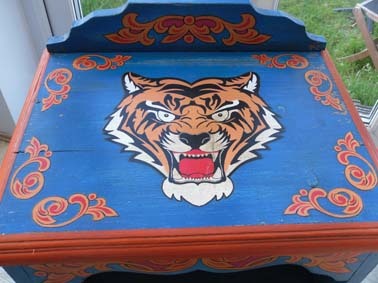 The tiger to go on the sides is ready. Graphics have been glued on the top and middle crests. The distressing has been toned down as it was too much first time round. I changed it by adding a layer of orange to match the graphics. The final graphics have been edited, printed, cut and glued with PVA. 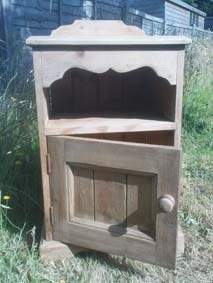 Then a dark wax used to give the cabinet an aged look.